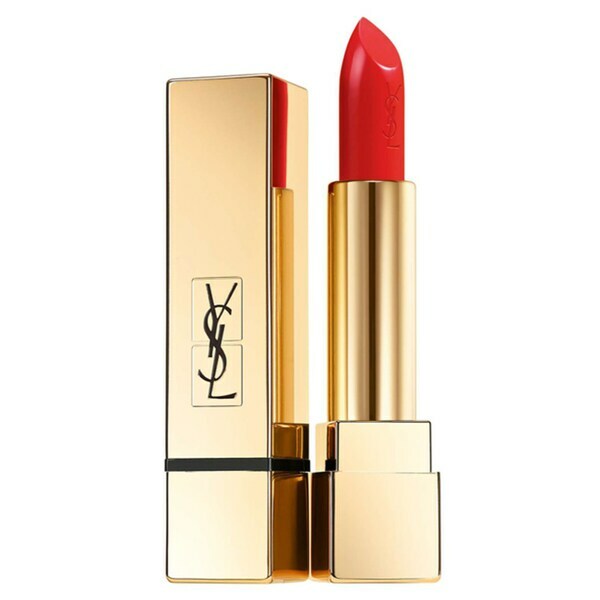 "Yves Saint Laurent Rouge Pur Couture Lipstick 50 Rouge Neon 0.13oz / 3.8g Made with 65-percent oils, the deeply hydrating texture of Yves Saint Laurent Rouge Volupte Shine Oil-in-Stick Lipstick instantly melts into your lips, providing a pop of color, instant hydration, total luminosity and smoothness and all day comfort, too. After four weeks of continued application, your lips look healthy and more nourished. It also features the addicting signature YSL mango scent for a fresh burst. Light coverage, high shine.